Although I spent a week in Indonesia and only two nights in Japan, the Japan portion (which I did on my own) made quite the impression on me. First I have to say that Japan felt like being embraced in a warm hug. Everything talks to you (in Japanese)…the elevator, the credit card machine, the toilet, robots. 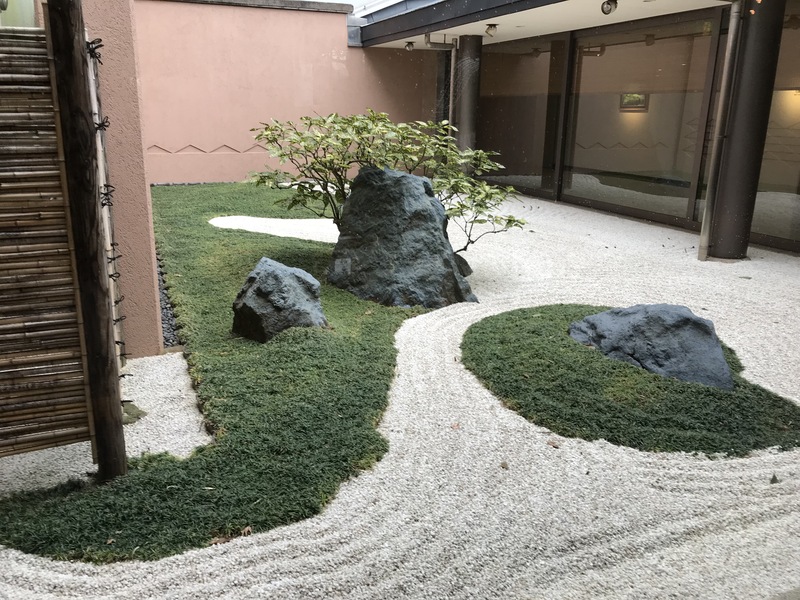 On the way home I stayed a night at Hotel Nikko Narita, which was pretty amazing for a long layover. 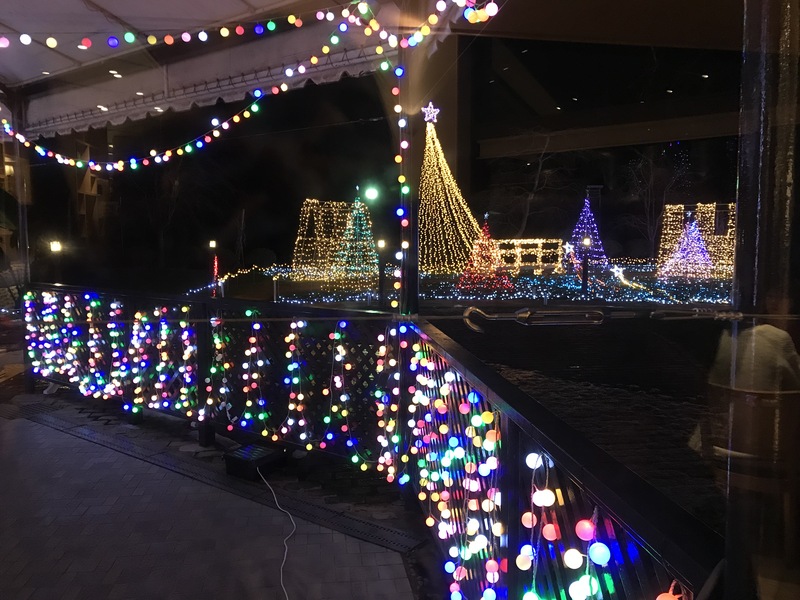 This place was like an oasis in the middle of nowhere, with multiple restaurants, a gift shop, gardens, vending machines galore, money exchange machines and more. But best of all it offered multiple ways to escape the hotel to see the sights. There were several different buses you could catch just outside the hotel. The one I took ran a loop between the hotel, the Narita train station, Aeon Mall and another hotel. More about my adventure at Narita-san in the next post. 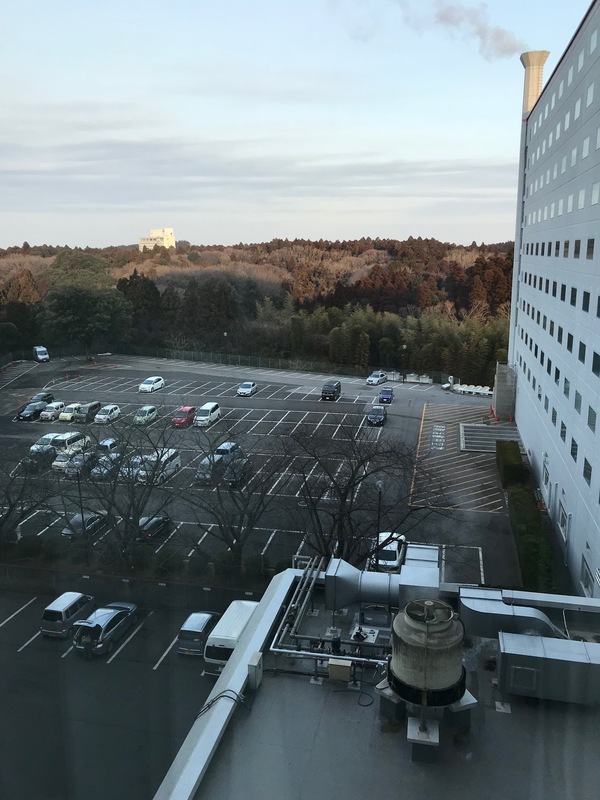 View from my hotel window, which serves to illustrated how grey Japan is compared to Java.